It was leaked on Friday, but if you missed it, we now have Samsung’s official ad spot, showing off David Beckham — er, the Galaxy Note, it all his, erm… its glory. 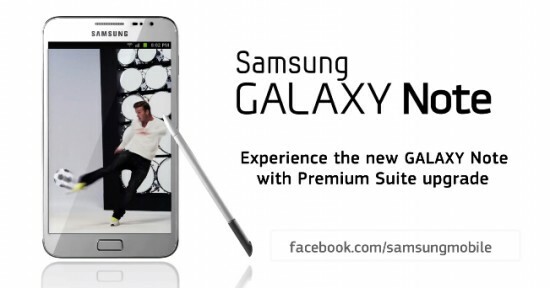 The commercial cleverly displays yet another real-world situation in which you could use the Samsung Galaxy Note. Like taking a snap shot, and doodling a path at which Mr. Beckham would let his balls fly, all to the tune of the Beethoven classic, Ode to Joy. This is what dreams are made of. Okay, this getting a bit awkward. Just watch the video. Oh — and you might notice the commercial making mention of the Premium Suite of apps, already available in South Korea via Kies and due to hit the rest of Notes — possibly after Android 4.0 — in the coming weeks. Enjoy.